5 to 9… I hate those lonely hours | MikShorty has moved to MikaelShort.com! MikShorty has moved to MikaelShort.com! Click here to buy my single! I started writing this blog at the time that I should have been ready backstage, hearing the starting music of 9 to 5 and pumping myself up for a great show. Only there are no more shows! And it’s depressing! This is where I’m going to divulge all the feelings at you because I can. This is my blog, thus I can do what I please. Deal with it. I’m in the lull. The “5 to 9” part of my day in the context of being between shows. 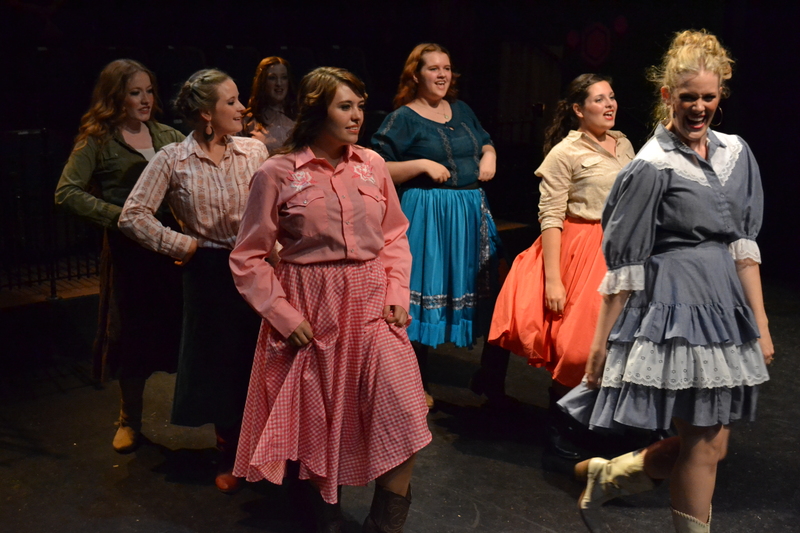 I’m eager to get into the next production, but also heavily reminiscing over my last show. I teared up several times over the past 48 hours, mostly when songs from the show came on my shuffle. Happy it happened. Bummed that it’s over. Sad that I don’t get to see my new favorite people as often as we used to. 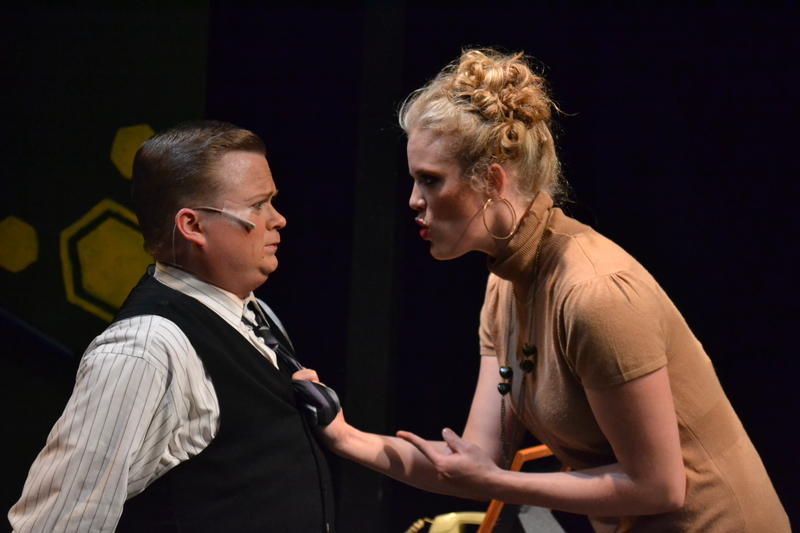 Heartbroken that I won’t be performing 9 to 5 again… unless I happen to do another production down the road. Thrilled and grateful that I had the opportunity to perform a dream role and in an awesome show with an even better cast. And I’ll be honest… I haven’t washed out my Dolly curls yet. Yes, I’ve showered, but… I’m not ready to give up all the Dolly like that! Closing night was Saturday. 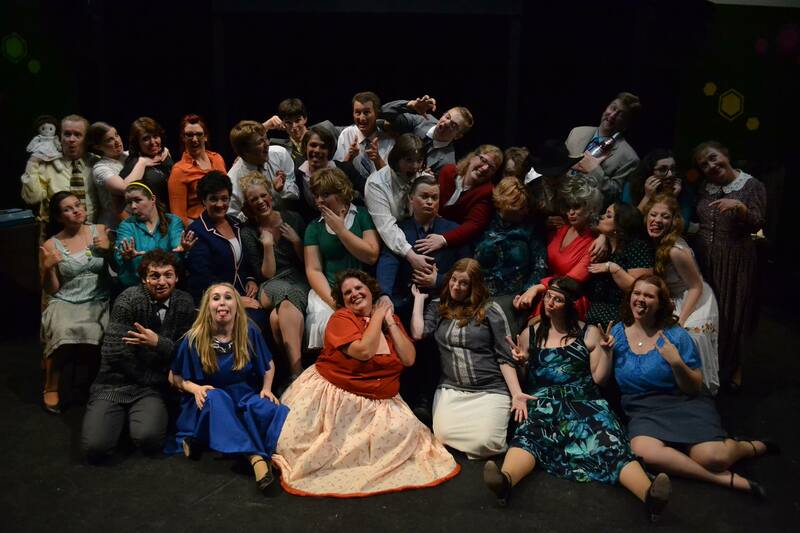 It’s been two days and I miss my 9 to 5 family like crazy. It’s different when you have a three-day break between shows than when it’s because the show has actually ended. I don’t know when I will next see the amazing, kind, hilarious and talented people that I’ve spent a majority of my time with during the past three months. I’m addicted to them, addicted to their energy. The withdrawal symptoms are pretty crippling. Seeing all of their posts on Facebook is completely ruining me. I need a frickin’ bucket for all the tears they are all causing me to cry. I’ll be thinking of you. It was because of those people that 9 to 5 was one of the most rewarding and positive theatre experiences that I’ve ever had. Yep, there were a couple dramatic moments, but then we addressed them and moved on. Because of that, I feel like we developed even stronger bonds. I made some wonderful friends, pretended to date the director for a night as a joke, had some thrills and spills at the theatre, had an amazing double who provided much help, love and giggles, and busted a gut on multiple occasions at Village Inn. We better hang out again really soon or I might slap someone. 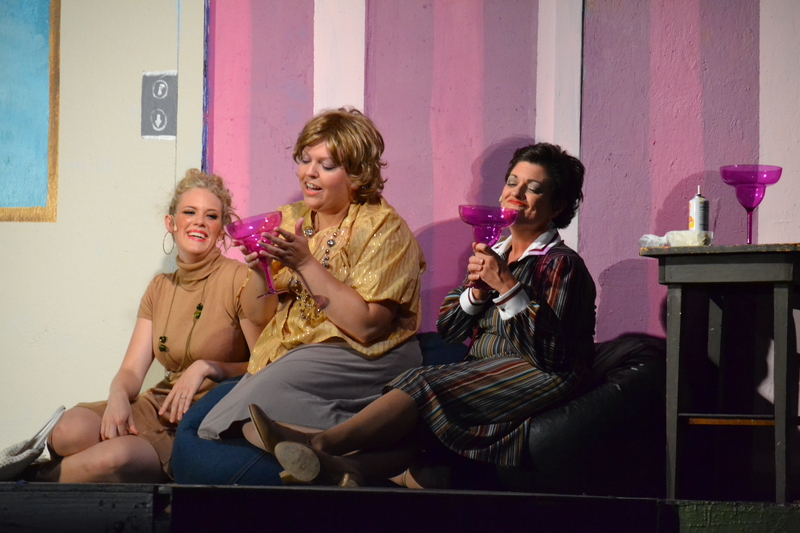 Tanya Rasmussen as Judy, Chrisanne Greer-Sueltz as Violet in our drunk scene. Oh, then I was able to be on stage. A high all on its own. Best thing ever in my world. Performing is amazing! The effect that Celine Dion and Lea Solanga had on me I hope to spread to more people. By the fact that a few people approached me applauding my performance and the little 4-year-old who came and hugged my legs then bolted away before I could say hi, I think I delivered. It’s been amazing. That’s all that can be said really. Doralee has been an absolute dream role to play. Amazing songs, some sass, some anger and a couple great one liners. Matt Green as Mr. Franklin Hart during my threat to castrate him. I’M GOING TO MISS ALL OF THIS SO MUCH. I audition for new shows immediately. Anything to shrink this 5 to 9 lull. To make the heartache and missing the stage stop. The same day as closing night, I auditioned for Into the Woods at Centerpoint and I got a callback. If I don’t get cast in that, then Jekyll & Hyde at the Empress is next on my list. And I still intend on auditioning for A Christmas Carol at Hale. I will perform there if it’s the last thing I do! Okay, I will stop being dramatic. Okay, maybe not. I’ll go eat my pizza and watch Into the Woods in solitude while I recover. And think about all the wonderful 9 to 5 memories for the rest of my days! Until I get back to the stage and a new “9 to 5”. aw Mikael this is awesome & you seriously look fabulous! glad it was such a great show and hope you get to reprise your role again someday!